For you, my dear readers, I finally got around to compiling this little PDF book. 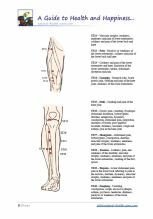 Most of the information in this booklet is available here on the website. But it is a very handy little book, and makes things a lot easier. It is best used together with the Charts... but has all the information you will need... stand alone. For $2.50, you will receive a 74-page PDF file. 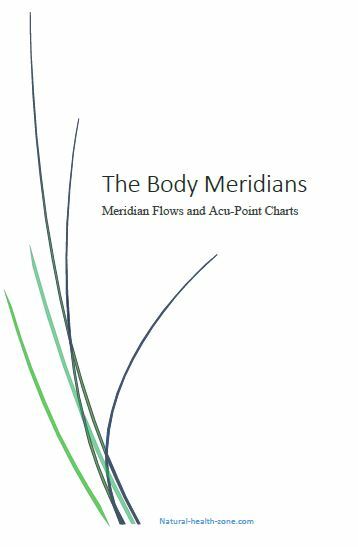 The Body Meridians, with meridian flow charts and illustrations of the acu-points on each meridian, and explanation for each point's use. The Meridian Clock (illustration), with active/passive times for each meridian. Five Elements Healing (illustration), with explanation for each element. The Principles of Chi, Yin and Yang. It took a long time, but now it's finally done! 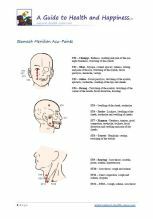 The complete acu-puncture/pressure charts... printable on 9 sheets of A3 format paper... (297 x 420 mm or 11.7 x 16.5 inches). These 9 sheets can be purchased at for $2.50, as high resolution PDF files - you print. Detailed instructions for installation are at the bottom of sheet no. 9. 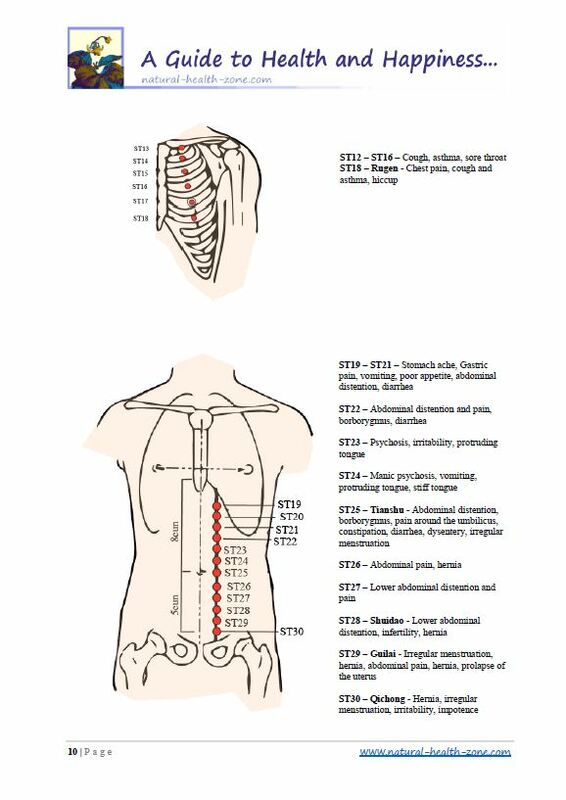 It is best to work with both: The Charts and the explanatory Body Meridian Book... see bellow. 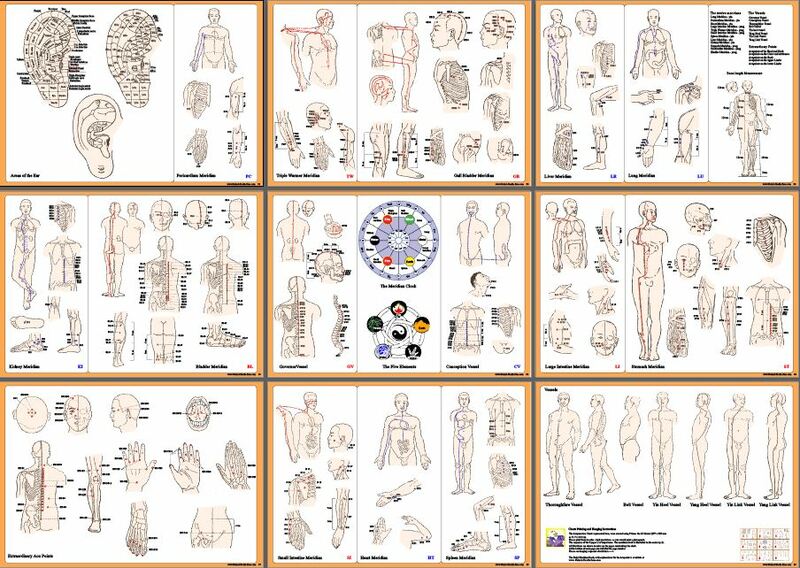 For $2.50 you will receive nine A3 formatted PDF files - for your own print. 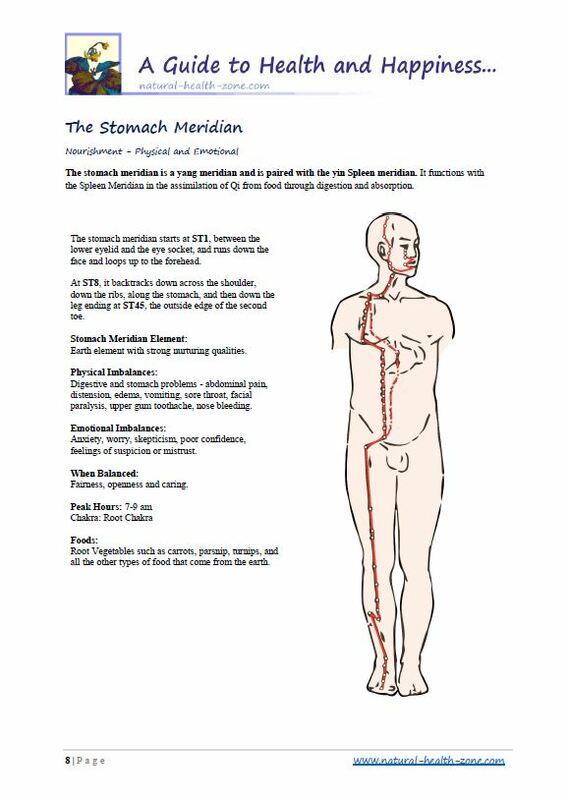 For $4.00 you will receive BOTH... the 9 Acu-point Meridian Wall Charts and the 74-pages explanatory Meridian Book. In PDF files, for own printing. You will receive the files "zipped". For online opening of the zipped files, https://unzip-online.com, is very helpful. Please give it some time... these are large files.